Your local source for most of your fabric related needs. Since being established in 1997, Sew What! has provided rural Acadia Parish and the surrounding areas with a variety of services to include but not limited to: custom Mardi Gras costumes, embroidery, screen printing, vinyl heat press, and rhinestone designs. Sew What! also offers a line of various fabrics for purchase which you can see by clicking on the SHOP button at the top of this page. 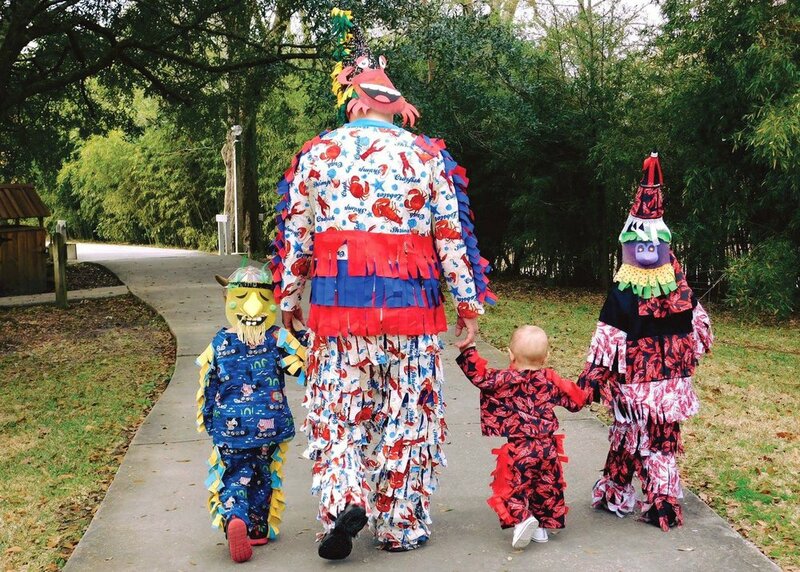 All of our custom Mardi Gras costumes are hand made at our location in Branch, LA. These costumes are available in store or on our sister website linked below. Our Vacajun brand website allows you to browse our wide selection of costumes and other Cajun accessories. At Sew What!, your privacy is very important. That’s why we employ the highest of standards in dealing with the information you submit to us. Your information is kept on secure servers and is accessible only by authorized administrators. We do not share your information with 3rd parties. To prevent unauthorized access, maintain data accuracy, and ensure the correct use of information, we employ technological and managerial procedures to safeguard the information we collect online.